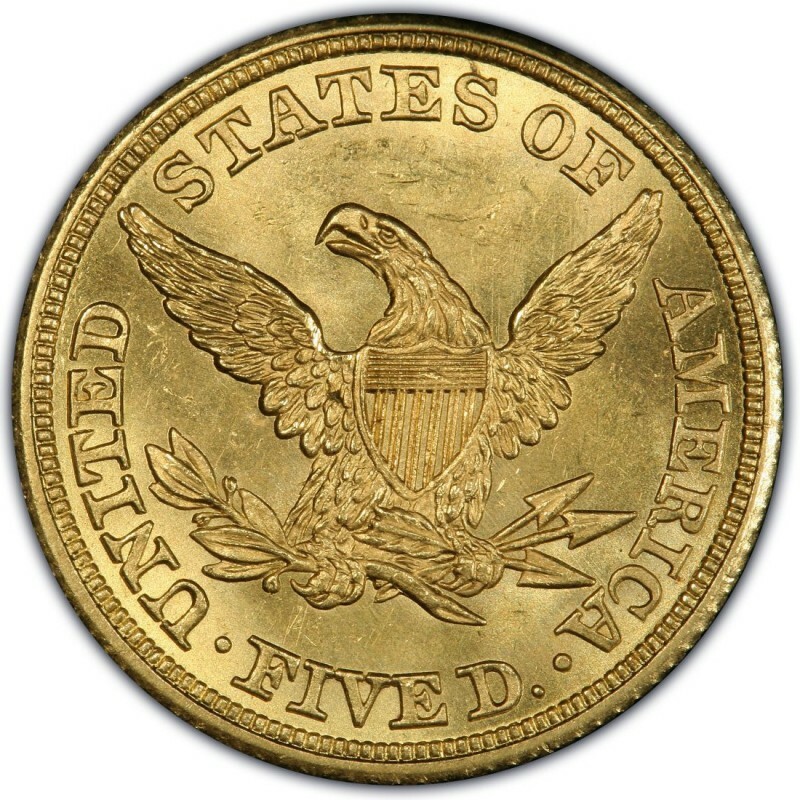 1842 Liberty Head $5 half eagle gold coins were made in several varieties, mainly due to variations in the size of the date and lettering on the coin. By and large, all 1842 half eagles are considered scarce, though among these issues the scarcest of all are the Charlotte (C) and Dahlonega (D) half eagles. This is the case with virtually all Liberty Head half eagles from the era, and should be kept in mind by those wanting to buy old gold half eagles. It’s advisable that all old gold coins be purchases authenticated and slabbed, as gold coinage is often counterfeited. 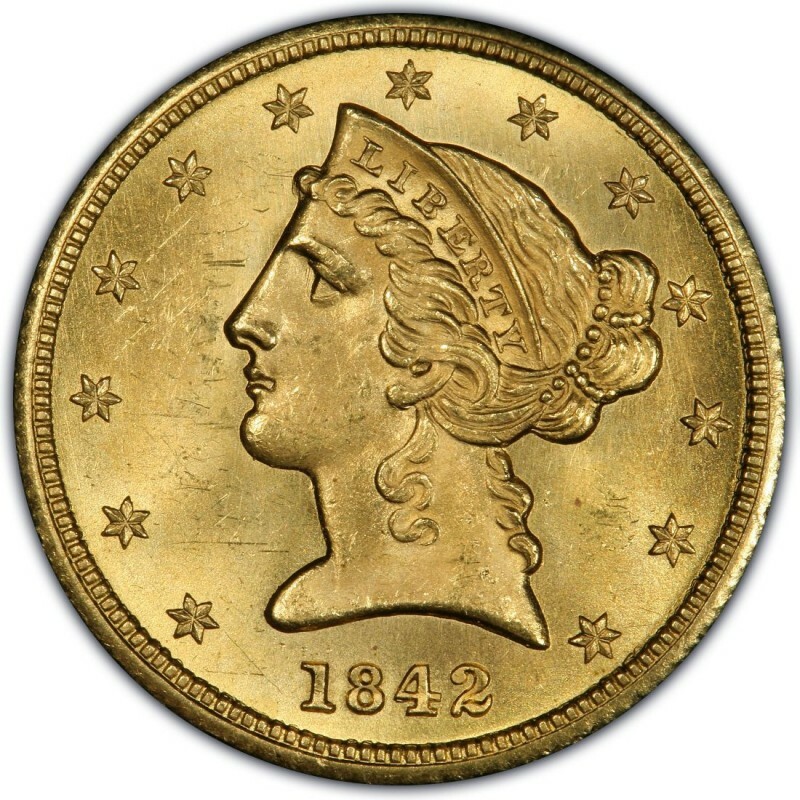 While Liberty Head gold half eagles have intrinsic bullion content, it should be noted that their historical significance means they have the largest market among numismatists. 1842 Liberty Head half eagles, designed by Christian Gobrecht, weigh a total of 8.359 grams and contain a net pure gold weight of 0.24187 ounces.